Revenues for Aramex rose by 7% to AED* 1,232m for Q2 2018, compared to AED1,147m in the corresponding period of 2017. Growth was driven by the company’s International Express sector combined with its Logistics and Supply Chain Management and sector. Operating profit for Q2 2018 grew by 29% in comparison to Q2 2017, increasing to AED160m. H1 2018 revenue reached AED2,422m, up by 7%, accompanied with operating profit rising 23% to AED260m compared to the same period in 2017. 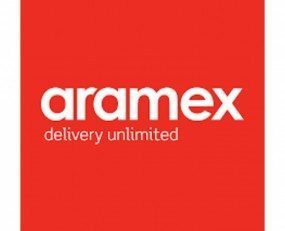 Aramex’s International Express witnessed revenue growth in Q2 of 10% to AED528m compared to the prior year period. This performance is mainly attributed to the continued growth in cross-border e-commerce across the company’s key markets in the Middle East, Africa, and Europe. Aramex’s operations in South East Asia is diversifying by acquiring new customers, which are targeting online shoppers in the Middle East, despite the lower than expected performance this quarter. In Q2, the Domestic Express business grew 6% to revenues of AED262m, compared to Q2 2017. e-commerce continues to fuel double-digit growth in most of Aramex’s core markets, namely: Saudi Arabia, UAE and Africa. The growth in Domestic Express was negatively impacted by the drop in business from the company’s operations in India. Revenues in Aramex’s Freight Forwarding business rose by 1%, to AED296m, where most of the growth was contributed by strong demand from Oil and Gas customers. The company’s Logistics and Supply Chain Management business increased by 16% to revenues of AED73m. The growth is attributable to the growth of business across all regions, mainly UAE, KSA, North Africa and Singapore.